This is 100% spelt bread - 10% whole-grain spelt flour home milled, 90% white spelt flour, 70% hydration, 10% inoculation. 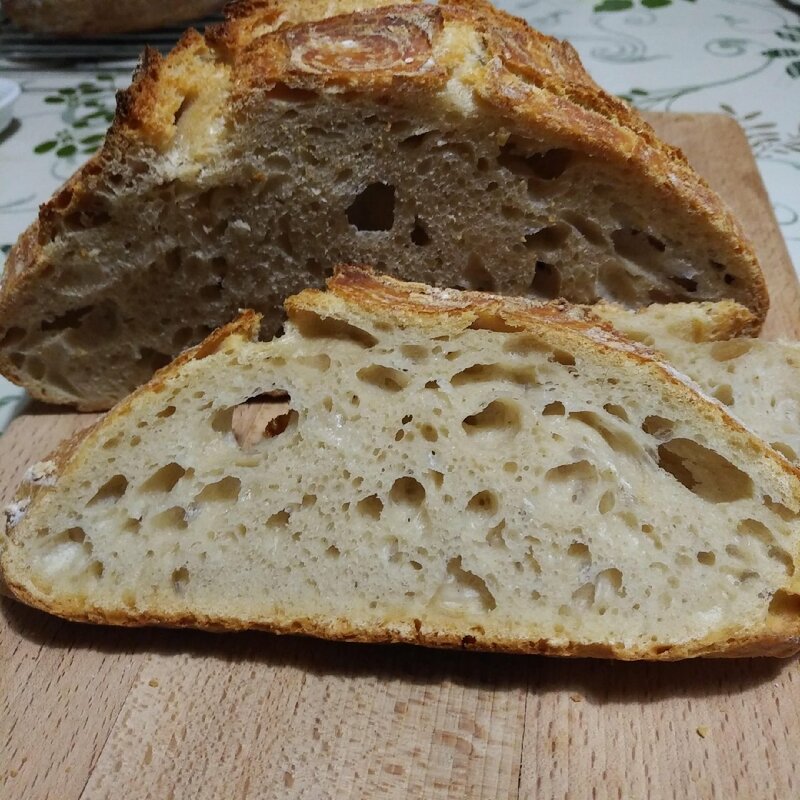 I tested a new approach in making this bread - no autolize, no "fermentolize", just mixing all ingredients including salt at slow speed and after 3 minutes at higher speed for gluten development until the dough didn't stick any more to the walls of the bowl of my Kitchen Aid mixer - about 2-3 minutes more. 4 stretch and folds, preshape, shaping using stitching method and our on counter before short cold retard as we needed the bread for breakfast. Baked in iron-cast skillet the standard way 30 minutes covered. Due to extensible gluten property of spelt gluten I decided to completely skip autolyse or fermentolyse and just mix the dough and develop gluten right away. I think this approach paid off as the crumb is very nicely evenly opened. 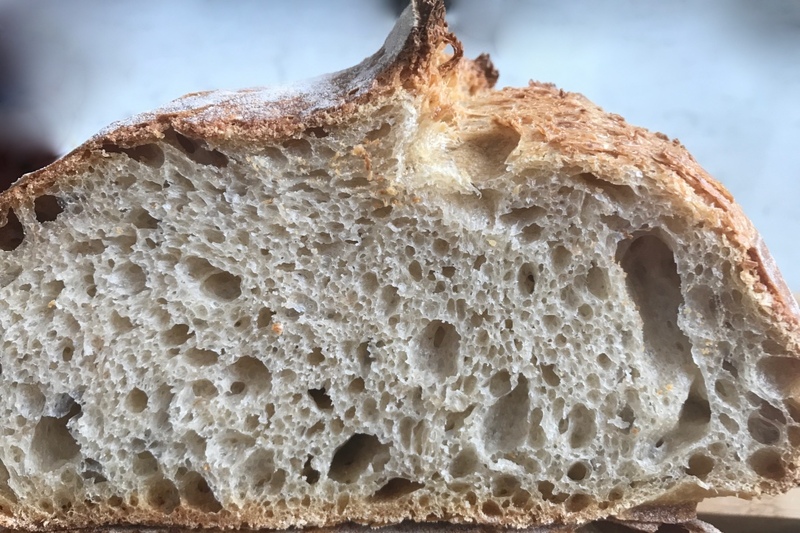 I love the ear and the crumb! Well done! The spelt flour is not easy to bake although white spelt has very good baking properties. Therefore I am always happy when I get open crumb with spelt flour. Massive ovenspring: it tore even beyond your cut. I found interesting fact that direct mixing without autolise is very good approach for spelt. 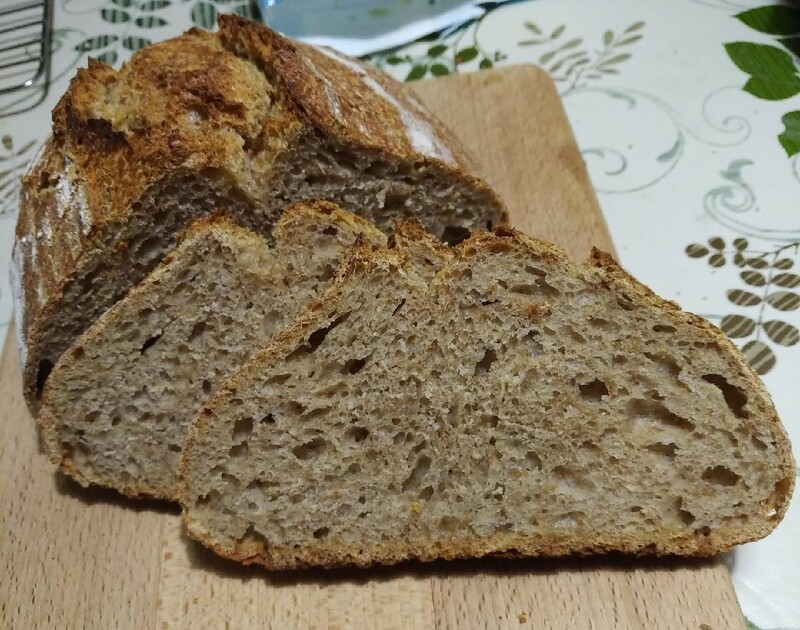 One of the effects of autolise is to get more extensible dough what is very good when you have a strong wheat bread flour with very good elasticity. However, the spelt gluten is more extensible, actually too much, so you don't want to get even more extensible dough which would spread in the oven. Thus mixing all ingredients including salt and developing gluten afterwards is the approach I used here and the result was very good. That is a truly beautiful loaf! Question - do you buy 'white spelt' flour, or do you sift your home milled stuff? If the latter, do you know what the extraction is (i.e. how much of the bran is sifted out)? Thanks Lay Loafer for good opinion! I buy white spelt flour - should be of type 630 to 700 (we use same numbers as in Germany or France where the numbers are divide by 10) . Sometimes I also use home milled spelt flour from grain and usually extraction is about 85% - the same percentage that I get also for wheat flour extraction. There is a huge distinction between the bought white flour and home milled 85% extraction. The home milled one contains a lot of small particles of bran., so I woudl assess it as type 1500. The dough made from it is more sticky and the texture of the crumb is less opened and not so puffy. once fairly coarse, sieve and hold back the bran, then mill the remaining flour again on a fine setting - would you get flour closer to type 630 to 700? I am new to milling so still have heaps to learn. 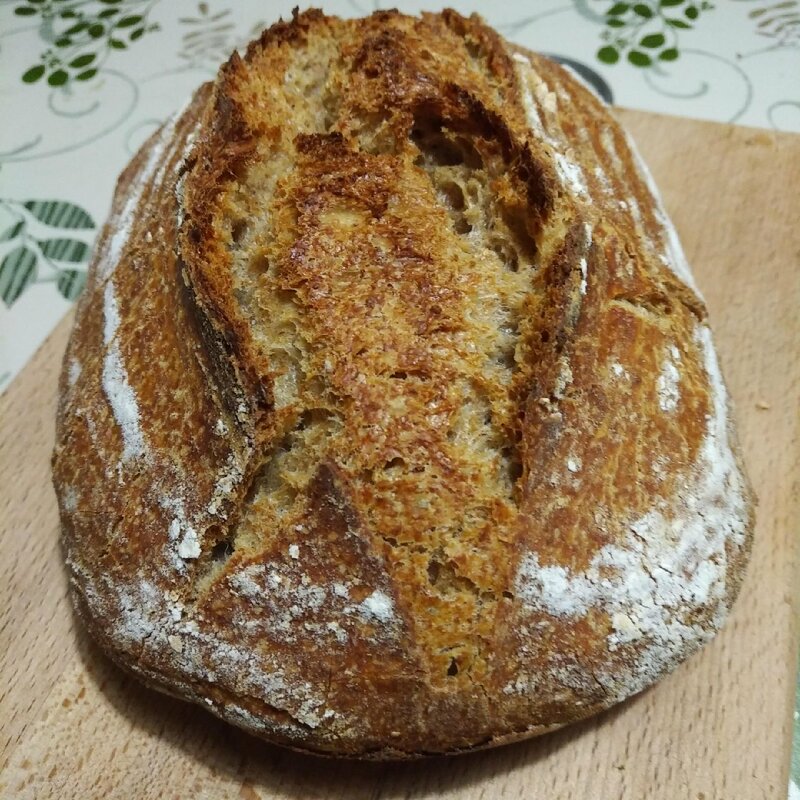 that is a really great loaf and your comments re extensibility of spelt have me thinking about shortening the autolyse on my current project. and I must say that I can confirm the observations from my own experience. Regarding milling: It might be possible, but on my mill I think I can't achieve it. I did a short experiment in this direction some time ago but was disappointed. I think the most critical is the very first step where you would like to extract the bran before proceeding in next steps. Somehow you get only big particles which it is hard to separate. Maybe one could do it with airflow as the bran is lighter, but that's just my guessing. It is that very paper that has me thinking!! I shortened autolyse from 2 hours + to just 1 hour (Trevor Wilson's Tartine Style Country Champlain has 24% whole spelt flour and 12% rye flour) and it was much better. I watch BF very closely too. Next bake I think I will shorten even further. I have bought a Mockmill 100 and so I can mill from very coarse through to quite fine. Last bake I milled at the middle setting, sieved out the bran then milled the remaining flour and I feel that the flour was much finer and smoother! Maybe I will try to mill once a bit coarser again, sieve and then mill finely and see what I get from that. Just realised that you had 10% whole grain spelt and 90% white spelt so my comment would just apply to trying to achieve the 90% white spelt. This was an amazing loaf for 100% spelt which I find is often quite dense. what a gorgeous loaf. You should be very happy. Very very nice. Glad you are posting so much more now. Thanks Hester, I am happy to hear from you. Honestly speaking I hate baking with whole grain spelt, but with white spelt flour one can get quite good results as I got in this case. In the mean time I have learned a lot about the flour properties and fermentation and so so on so all this knowledge is very beneficial when you come to such case. And thanks for so good opinion! That is a fantastic crumb and rise for 100% spelt. Your method definitely worked. I usually mix the spelt in with other flours and still notice the need to not over ferment the dough. Spelt is a "naughty" flour due to the properties of its gluten which has pronounced extensibility and is lacking elasticity. Besides this spelt is fermenting faster than wheat so watching the dough is very important. But dealing with whole grain spelt is much harder, I am still far from being satisfied with the results. turned out like a half pita (top) and half focaccia (bottom)... my heart sank actually when I took out the banneton from 20 hour cold final fermentation. The dough was wetter than the beautiful texture it had going into the fridge. I used 20% levain and 80% hydration and 100% WW spelt. 6 hour bulk with 5 sets of stretch and fold and 20 hour cold final fermentation. Does this look like a formula for a failure??? Thank you very much for sharing the information on spelt characteristics. I had no idea how this flour behaves... I am going to order white spelt to mix with WW spelt. Thank you! Such a nice looking bread Joc! It has to taste as good as it looks too! Well done indeed and happy baking. Thanks Dabrownman, it was really good. 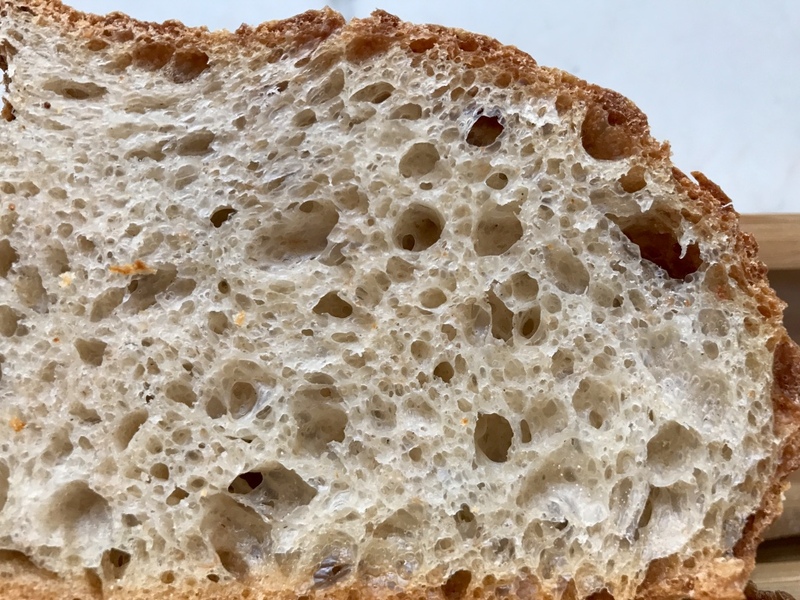 I have been doing spelt sourdough bread for at least 6 months but I don't get such a nice result, is it possible for you to share this spelt recipe, and tips. Thanks so much. Greetings from Norway. What a great looking bread! I am experimenting with spelt because a friend asked me whether I can bake softer 100% spelt sourdough. I tried to create 100% starter but noticed that it is not doubling in size as with other wheat flours. Also it is great to know that I should shorten autolyse. I haven’t read all your comments and advices yet but I will. I am quite disturbed that I am wasting expensive four with unsuccessful starter refreshments. WOW!! Gorgeous loaf!! I've retreated from using very much spelt in my breads precisely because of its extensibility. I'd love to try your version here if you'd be willing to share the recipe. A Big Thank You To Joze !! 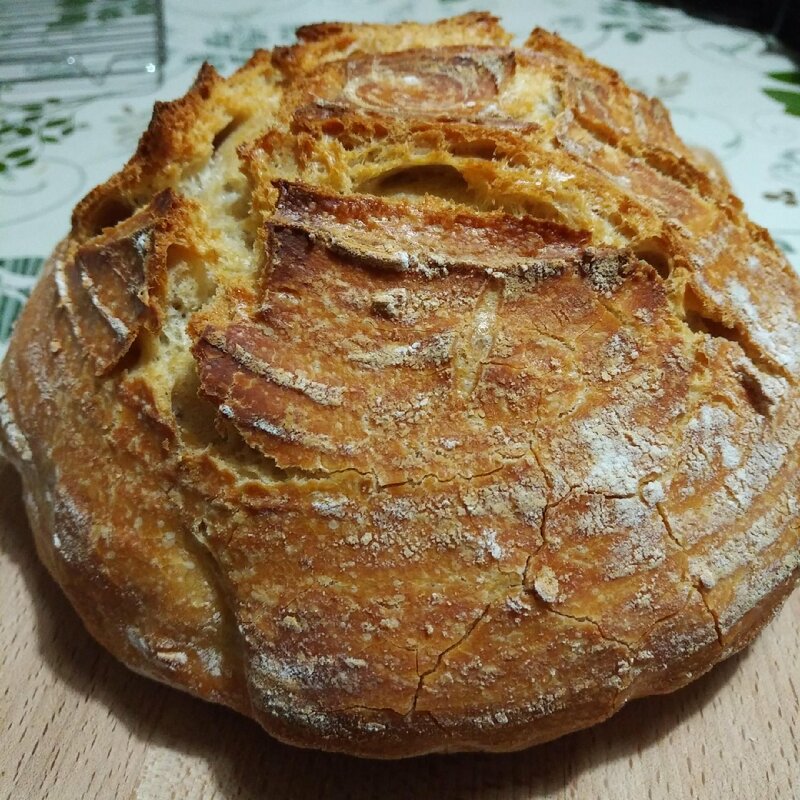 I am not an artisan baker or perfectionist - I can't eat the yeast that goes in "normal" bread and my OH cannot eat the wheat that goes in "normal" bread. Its been a long time since either of us have had decent toast ! 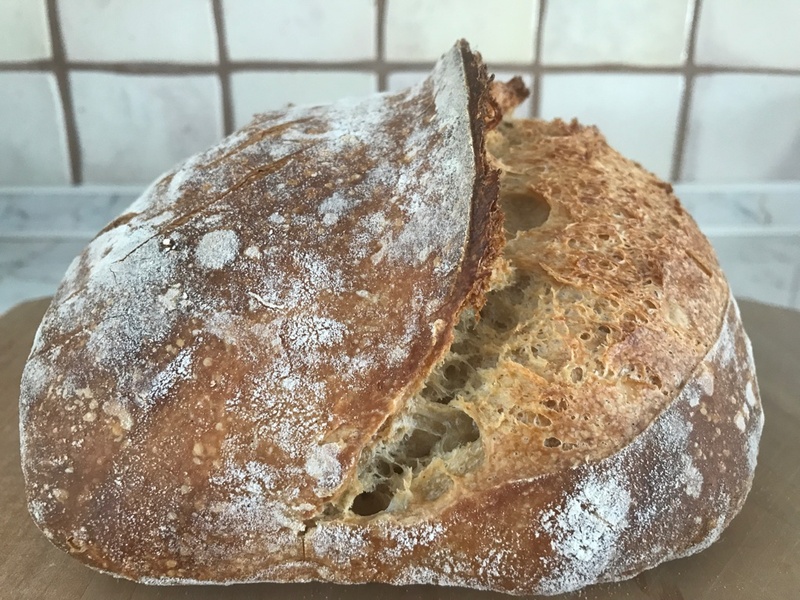 Three months ago I started to bake spelt sourdough loaves and its gone ok with only one loaf literally going to the dogs ! Considering what we have been eating, the bar is set pretty low though ! I tried the Joze method last night / today with one white spelt loaf and one 50/50 white and wholemeal spelt and I think they have both turned out really well !